One of the oldest tools to mankind is the hammer. It has undergone a lot of changes over the centuries, but mostly for the better. There are many kinds of hammers for different purposes. 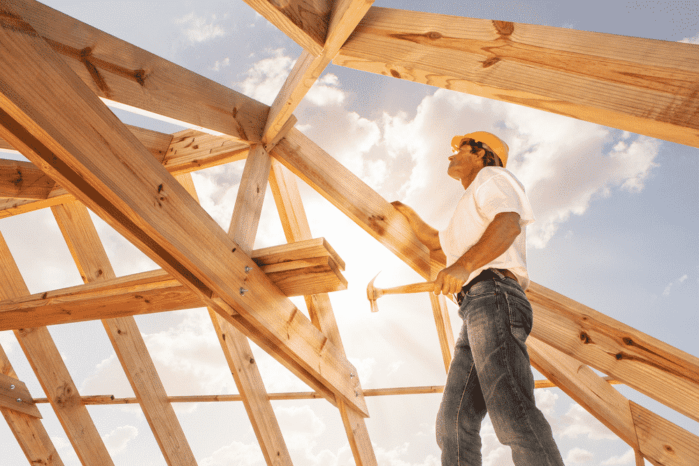 Framing hammers, in particular, are used in construction, to frame wooden houses. 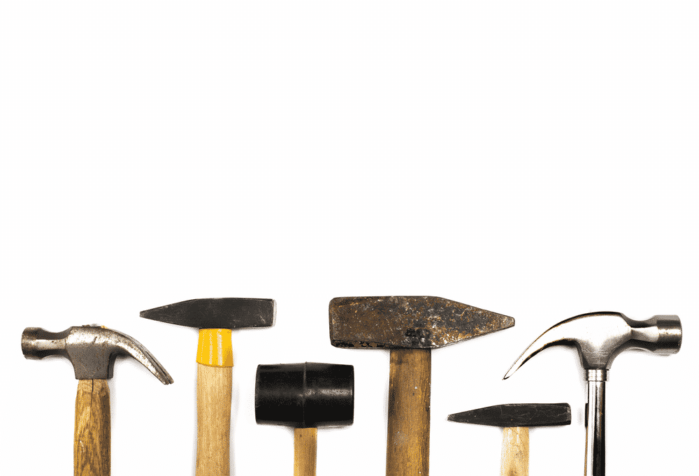 There's quite a lot of options, but here are the best framing hammers in the market! This Stiletto framing hammer is not your average framing hammer. Stiletto Tools, Inc. has been in the industry for a long time. You can see really the craftsmanship of their product and that they take care of every small detail. This particular framing hammer is a fine example. Unlike the usual hammers, this one has a titanium head rather than the usual steel. Stiletto claims to be the first to do titanium hammers. True or not, it sure is definitely something to look out for. The TI14MC Titan is lighter, only weighing 14 ounces. However, it drives a nail like a 20-ounce steel would. That said, it is easier on the arms and wrist. Another notable feature is the curved handle is made of American hickory. It has a total length of 18 inches, which allows for a pretty strong swing leverage. It also absorbs shock very well. Just keep in mind that titanium sparks when chipped. They are lightweight but powerful! If you are a professional who will probably be swinging the whole day, this framing hammer will be easy on your wrist and arms. The ergonomically designed handle is very easy on the hands. It absorbs shock very well too. A little pricey. If you’re not going to use it so much, you’re better off with a cheaper option. Estwing is another trusted American brand for hand tools. They've been around for almost a century. This particular framing hammer is a forged one-piece steel hammer. It is a very durable piece of a tool! To minimize vibrations, it is equipped with a patented shock reduction grip. It claims to reduce the impact by 70%! This particular design comes in different head weights, from 12-ounce up to 30-ounce! You can choose what best suits you but the 22-ounce feels great! I think they are a great option for professionals because of its durability and capabilities. The shock reduction grip that has a nylon base lives up to their claims. They truly minimize the shock. Reasonable price for such a great quality tool. The handle is short for a framing hammer. However, you can find a longer handle and heavier head for the same design. This hammer does not have a magnetic nail head. If you want a framing hammer without the intimidation of the price, you can opt for Stanley Tools' FatMax 22 Ounce. It is a pretty standard framing hammer, with a pretty decent weight. It has a length of 18.4 inches and a total weight of 2.12 pounds. The Fatmax Framing hammers are forged and heat treated for increased durability. The handle of this particular model has an ax style handle made of hickory wood. It connects to the hammer's head with a secure double wedge assembly. It also has a contoured grip that claims to allow better control and grip. The head is checkered to prevent the hammer from slippage. Its ax style design seems to make it easy to hold. The checkered face does well in not slipping off the nails. It also allows for better control and accuracy. It has a magnetic nail starter for easy nail setting. I found the handles becoming slippery with sweaty hands. I feel like the hammerhead might come off sooner than later. This next one is yet another Stiletto Tools, Inc. hammer. Unlike the first one from this manufacturer, this one does not have a wooden handle.It is one piece of titanium, meaning it is more durable. You don't have to worry about the hammer’s head falling or flying off. 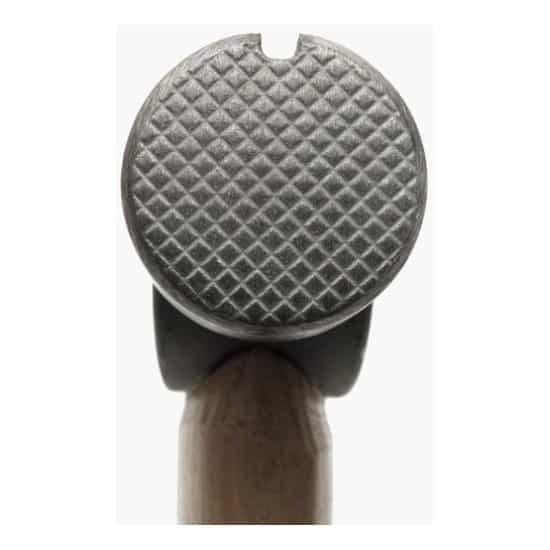 The hammer has a 15-ounce head, which is still lighter than most steel framing hammers. Yet, it drives a nail like a 24-ounce steel. Another notable feature is the handle's ergonomic design. It has an injection-molded grip so you can grip it better and more comfortably. The overall length of the hammer is about 18 inches. It’s a pretty good length for great leverage. It also has a magnetic nail starter which is very convenient. It has top-notch construction, design, and durability. The titanium makes it a lightweight option, but still very powerful. In the long run, it is easy on the hands and arms. The handle absorbs shock as claimed. Though the handle absorbs shock well, it feels a little hard and not very comfortable. I feel like, after a few pounds, I’ll have blisters from it. If you’re still having some doubts, you could always start with these Stanley framing hammers. They’re a great option and they won’t hurt you financially. It is a 22-ounce framing hammer with an overall length of 16 inches. Unlike the first option, it has a steel handle with a patented torsion control grip. It also has Stanley's patented AntiVibe technology to reduce shock. These features help reduce the vibrations and the shock. Another feature worth noting is the checkered texture on the face of the hammerhead. It increases control and makes the job easier. It also has a magnetic nail start like most of the hammers on this list. One-piece steel design for better durability. They are fairly cheap for the quality you are getting. They are a good option for those who are just starting out or those who are just doing projects. If you want something heavier, you can get the same model at 28 ounces. The handles are not as easy on the hands as the others. A lot of uncomfortable friction. Short for a framing hammer. There are a few differences between a framing hammer and a regular claw hammer. First, a framing hammer is essentially longer to give you more leverage. While a regular claw hammer is around 10 inches long, a framing hammer is are about half a foot longer. Another difference between the two is that a framing hammer’s head is heavier to give you more power. A standard claw hammer head weighs between 8 to 16 ounces while framing hammers are usually more (around 20-32 ounces). The last noticeable difference between a standard hammer and a framing hammer is found in the face of the head. Standard hammers usually have a smooth face or surface, while the framing hammer has a textured surface. This is to prevent the hammer from slipping from the nails. Not everyone needs a framing hammer. Many times, a regular claw hammer is all you need, even for some home renovations. They are heavy and will require a lot of wrists and arm strength. Framing hammers are ideal for professionals who will be using them more often. Otherwise, don't be surprised to find the tool unused and forgotten. When choosing a framing hammer, keep in mind these important points. It’s important to know how the hammer was put together because it usually determines how durable it is. It also determines how easy they are to use and how easy the job will be with it. Some hammers are just one piece, while others are two pieces put together. For two-piece hammers, look into how they were put together. You wouldn’t want the hammerhead to fall or fly off while you’re using it! Two questions to help you out: What material is the handle and how long is it? In terms of material, you have three main options: wood, steel, and fiberglass. Wooden handles are excellent shock absorbers. The downside is that they are prone to breaking or snapping after extended use. Steel handles are strong and durable, but they are not great shock absorbers. You will feel vibrations after each hit and they're not great for the wrist, arms or shoulders. Steel handles will usually have some kind of plastic or rubber on them to help absorb some of the shock. If you're hammering all day, steel handles will do. But if you are a carpenter who is always using a hammer, a wooden handle might be better for your arms. The last type of handle is fiberglass. Quality-wise, it's somewhere between wooden and steel handles. They are still breakable but will most likely last longer than wood. On the other hand, they are more shock absorbent than steel but not wood. As mentioned earlier, framing hammers have longer handles than standard hammers to allow greater leverage. Before you decide on what length to get, you should give it a swing to see how it feels. Is it comfortable? Do you think you can repeat the swinging motions comfortably? It will take some time to get used to but you should definitely have a feel for it. A hammer’s head is less complicated in terms of material because they are usually made of steel. The components will just vary depending on the manufacturer. When considering a framing hammer, know what weight you’d like it to be. Framing hammers weigh between 20 to 31 ounce. Aside from steel, another common material used nowadays is titanium. They are much lighter than steel but they still have a very powerful drive. I think because they are lighter, they’re much easier on the arms. Yet, they can really do the job like a heavier steel hammer. Another thing to consider about the head is its face. Framing hammers have a textured surface to prevent slippage from the nails. This will vary per manufacturer. The last thing that you should consider is the price. You can find framing hammers as cheap as 15-20 dollars and as high as over hundreds of dollars. That price range is steep! It also depends on how much you are willing to spend. Quality usually goes along with the price. If you want to find the best framing hammer, you really do need to have a feel for it. To me, I think the best one overall would be Stiletto's TI14MC Titan 14-ounce Framing Hammer. I know usually a framing hammer should be heavier for more drive but the titanium in this hammer is really powerful. It being lightweight is really good for the arms and good for those who use it for longer periods. Overall, I think it’s the best one.